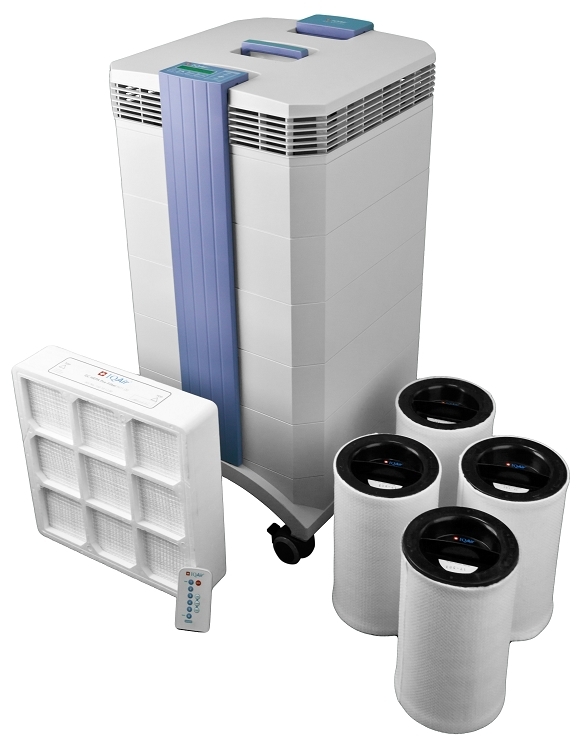 IQAir GC MultiGas Air Purifier and Air Cleaner for MCS| Free Shipping | No Sales Tax . 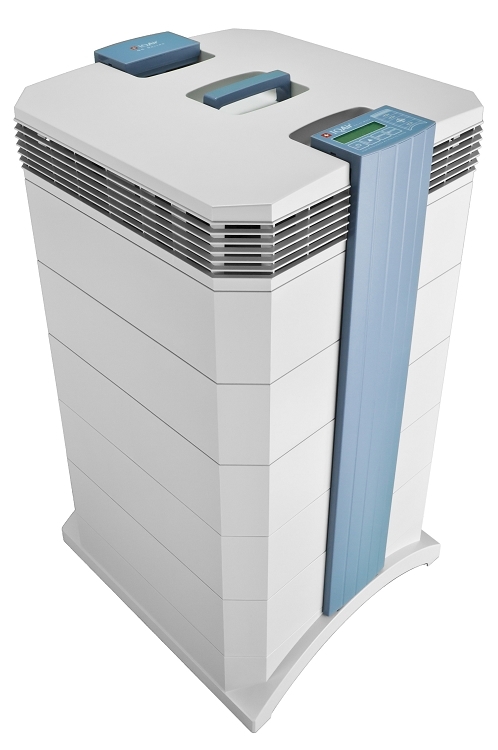 Home > Air Purifiers > IQAir Air Purifiers > IQAir GC Multigas Air Purifier - Specially designed for Multiple Chemical Sensitivity and smoke and odor control. Rated #1 for multiple chemical sensitivity and smoke. The IQAir GC Multigas is compact and customized for gaseous contaminants and odors. Just like a professional gas mask, IQAir maximizes filter efficiency for different gases and odors by offering the best filter cartridges. And while gas and odor control is a particular strength of these systems, the GC Series also offers excellent filtration efficiency for ultra fine particles. If you suffer from illnesses as a result of even low-level exposure to household chemicals, fragrances, smoke, paints, plastics, etc., chances are you have already heard of and even self-identified with the Multiple Chemical Sensitivity diagnosis. Multiple Chemical Sensitivity, or MCS, is a diagnostic label applied to people who suffer multi-system illness as a result of contact with, or proximity to, a spectrum of substances, including airborne agents. That's according to the U.S. Environmental Protection Agency. The IQAir GC Multigas uses four reusable filter cartridges to hold up to 12 lbs. of gas phase media. The cylindrical shape of these cartridges allows for optimum contact between the air and gas phase media, which ensure high removal efficiencies. The large surface area of the cartridges enables high air flow rates. Since IQAir gas filter cartridges are recyclable, replacing them is not only economical, but also environmentally friendly. The particulate filtration GC units complements the gaseous filtration process by removing over 97% of particles before they can reach the gas phase media. This increases the efficiency and life of the media by preventing its pores from clogging. 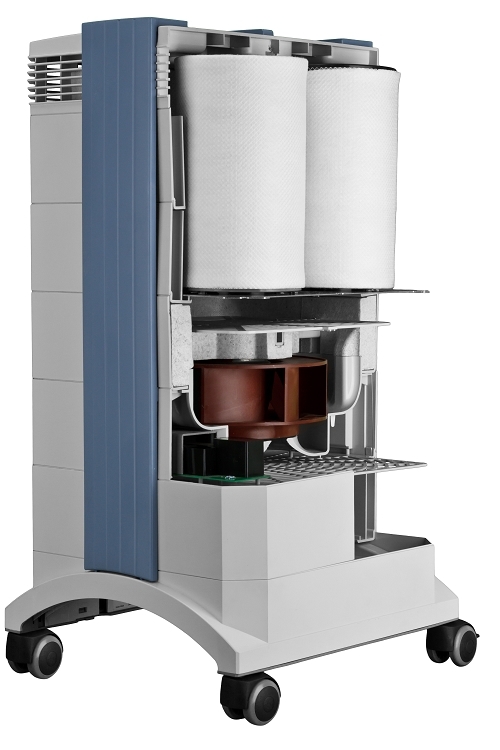 The GC units` overall filtration efficiency for particles is 97% at .3 microns. The post filter is electrostatically charged to trap particulate pollutants and microorganisms (bacteria and viruses). I have been using IQAir for nearly 10 years now. I have birds that create a lot of feather dust, so I needed to find a purifier that really cleaned their air. I started with a HealthPro and a few years later I purchased the GC Multigas. This is the best air purifier that I have ever used. I highly recommend this for anyone who needs their air really cleaned. I can tell the difference immediately if the unit is turned off. This really works!